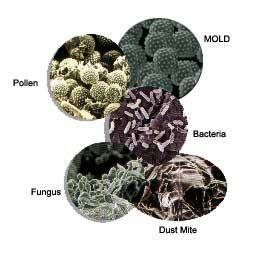 Visible mold growth inside hard surface ducts or on other components of your heating and cooling system. Many sections of your heating and cooling system may not be accessible for a visible inspection, so ask the service provider to show you any mold they say exists. When a technician from Extreme Air Duct Cleaning And Restoration Services finds mold growth in your system he or she will show you the visible parts prior to preforming the work. when work is completed you will be show the same surface again so you can tell the deference. If the air ducts in your home are insulated and the insulation gets wet or moldy it cannot be effectively cleaned and should be removed and replaced. We strongly recommend installing an ultra violet system that can help preventing this problem.